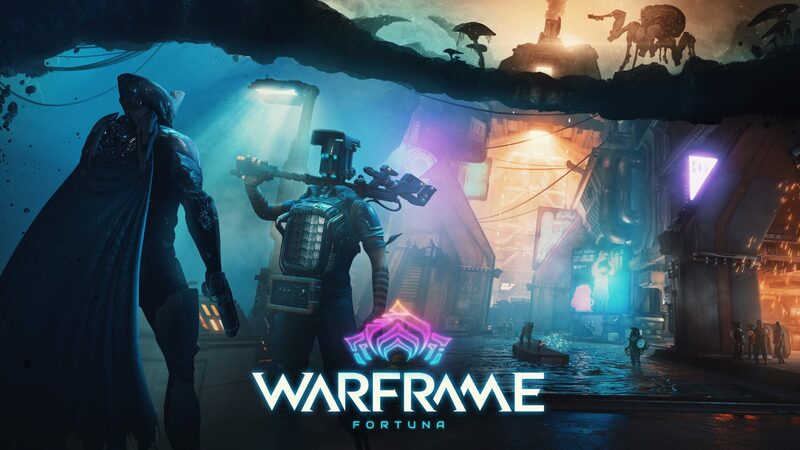 Digital Extremes announced that the highly anticipated open world Fortuna expansion for Warframe will be available for free in November for PC, with a console debut on PlayStation 4 and Xbox One scheduled ‘later this Winter’. Built on an imaginative science fiction terrain, Fortuna‘s Venusian landscape is four to five times bigger than Plains of Eidolon (last year’s popular open-world update), and brings a different Orokin-infused look, feel and experience to Warframe‘s growing universe. Warframe is also coming to the Nintendo Switch on November 20th and the developers recently showcased a bit of gameplay in a developer live stream. The game will run at 30 frames per second and is being developed by Panic Button, the Texas-based studio that handled the excellent Doom and Wolfenstein II: The New Colossus Nintendo Switch ports. Interestingly, the folks at Digital Extremes confirmed that the optimizations made by Panic Button will make it into the PC build of the game, presumably helping lower end machines achieve better frame rates. A while ago Digital Extremes also expressed interest in exploring cross-play possibilities. That was before Sony launched the cross-play beta program for Fortnite a few weeks ago, so perhaps Warframe will also join in the cross-play party at some point in the future. Here’s hoping, at least.